Why I wanted to make this: I have seen these popping up all over the place and thought that I might be able to make my own at home.. why buy one if you can make it out of items you already have? 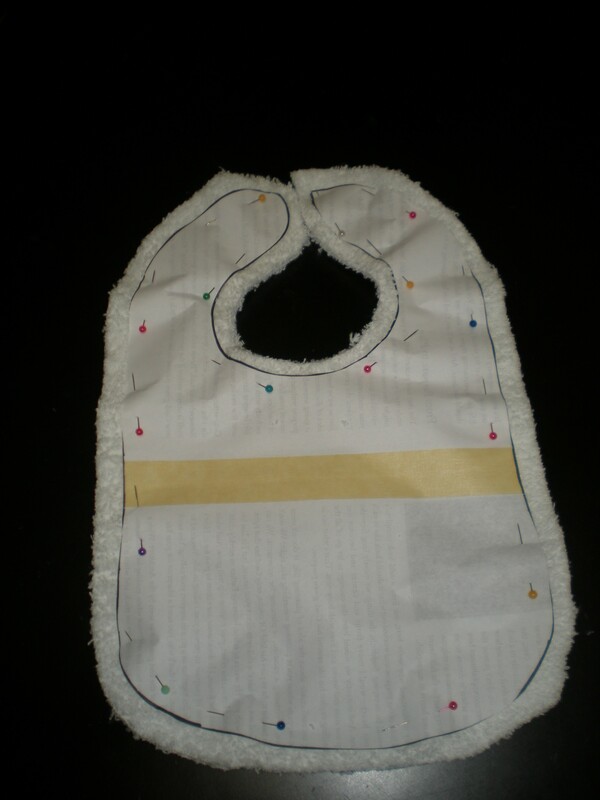 First, trace your bib onto a piece of paper to create your pattern. 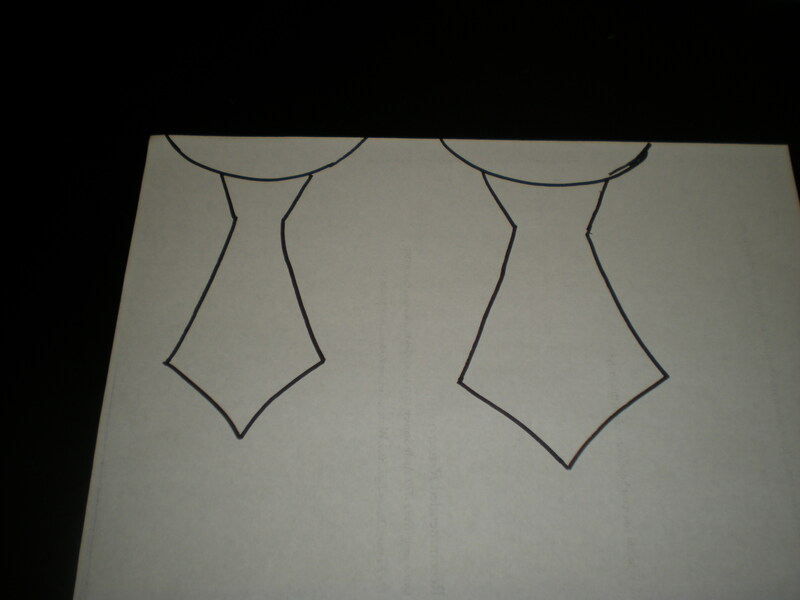 Next, draw the shape of the tie to create a pattern. 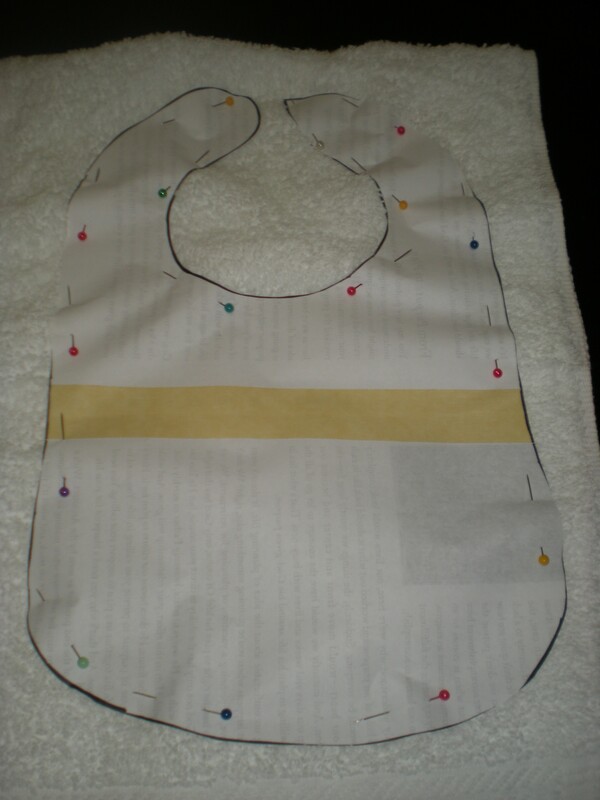 Now pin your pattern onto the towel and the second piece of fabric you will be using and cut them out. 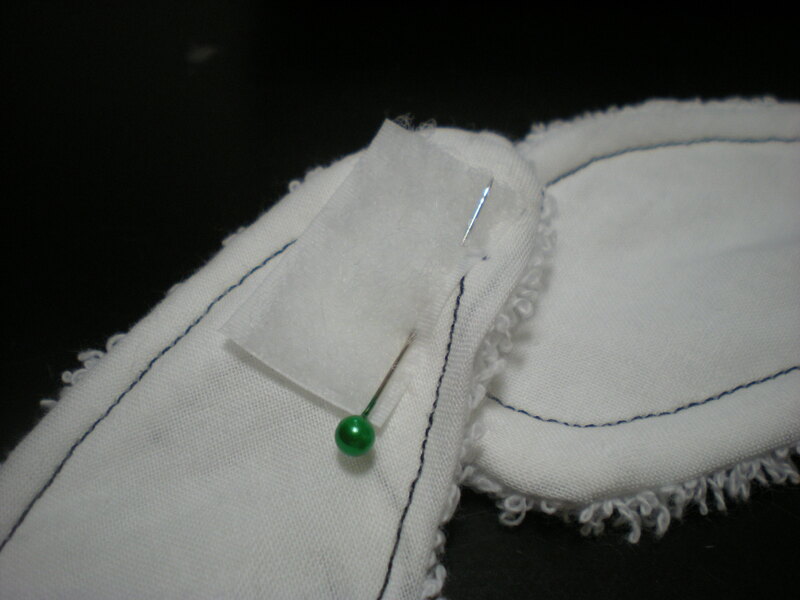 Make sure to add 1/4″ or 1/2″ seam allowance. 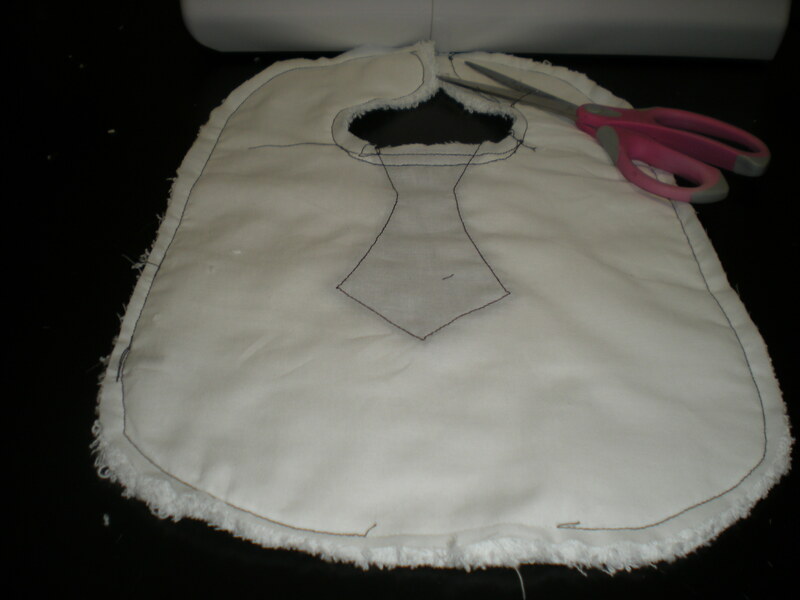 Now you will want to iron the edges of the tie under. 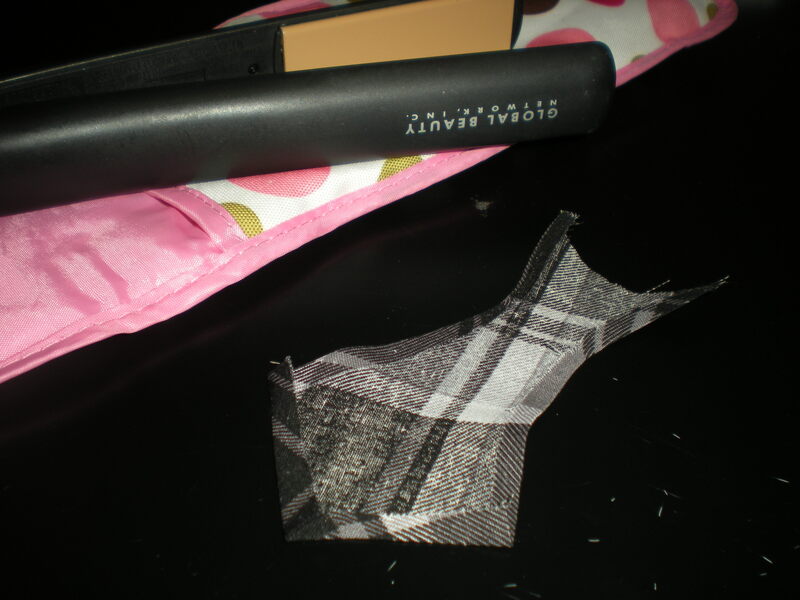 Yes, that is a hair straightener- it works wonderfully on all these tiny baby clothes! 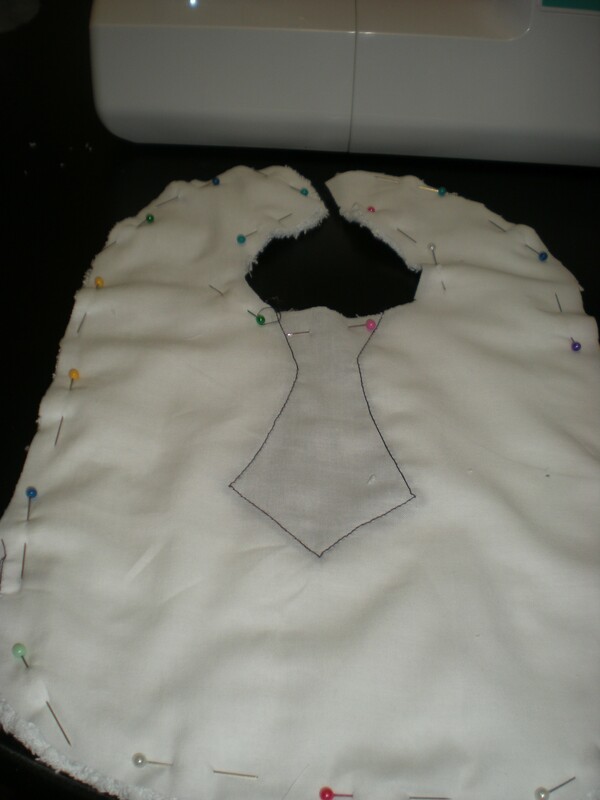 Pin your tie right side up on the right side of the fabric. Sew the tie down. 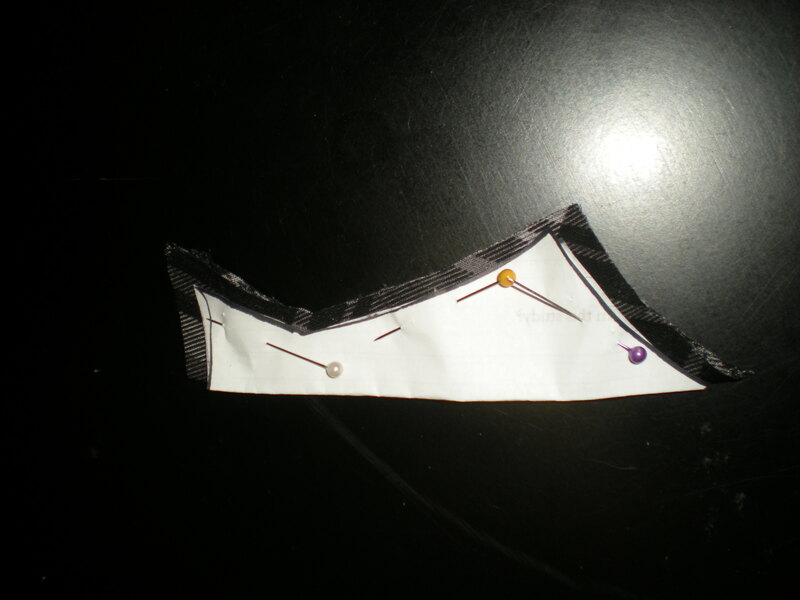 Note: make sure you stay within the 1/4″ or 1/2″ seam allowance you allotted for. Here’s what you should have now. 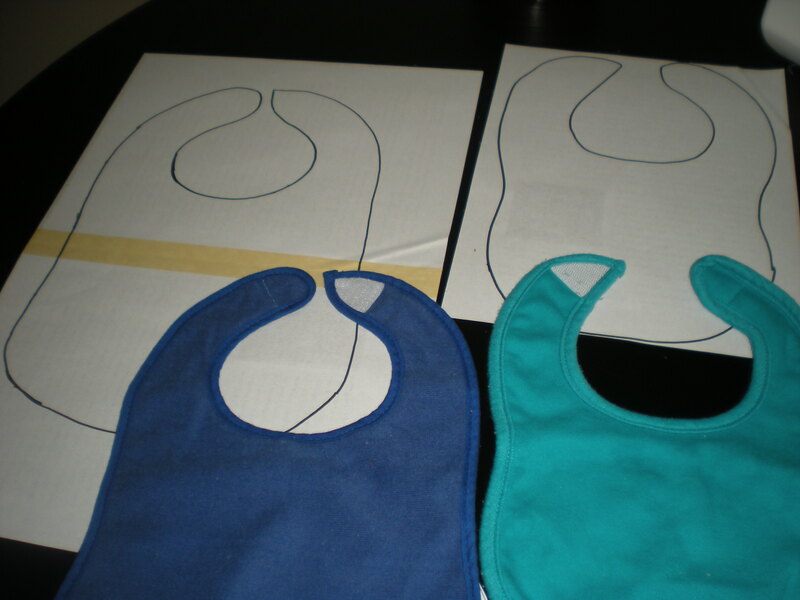 (You don’t need to sew the top down unless you really want to because you will sew it down when you sew the two bib pieces together. 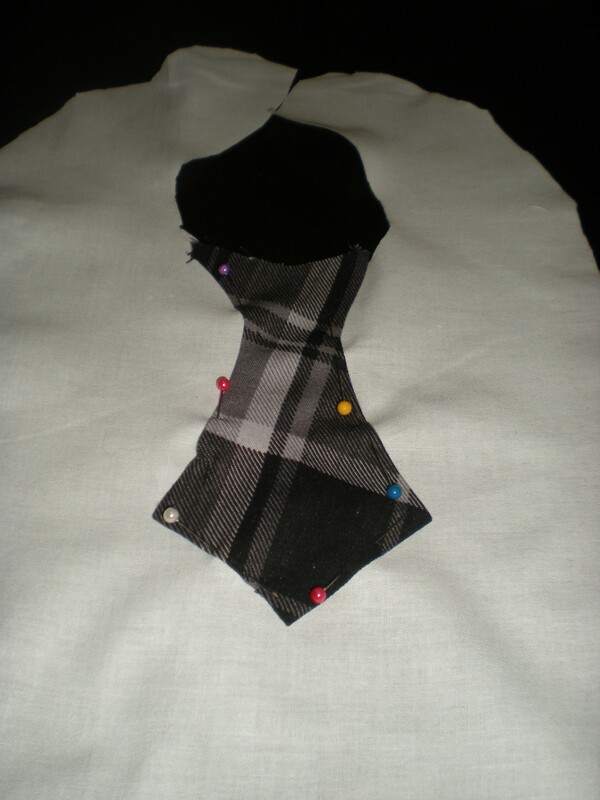 Pin the tie piece and the towel with the right sides together. 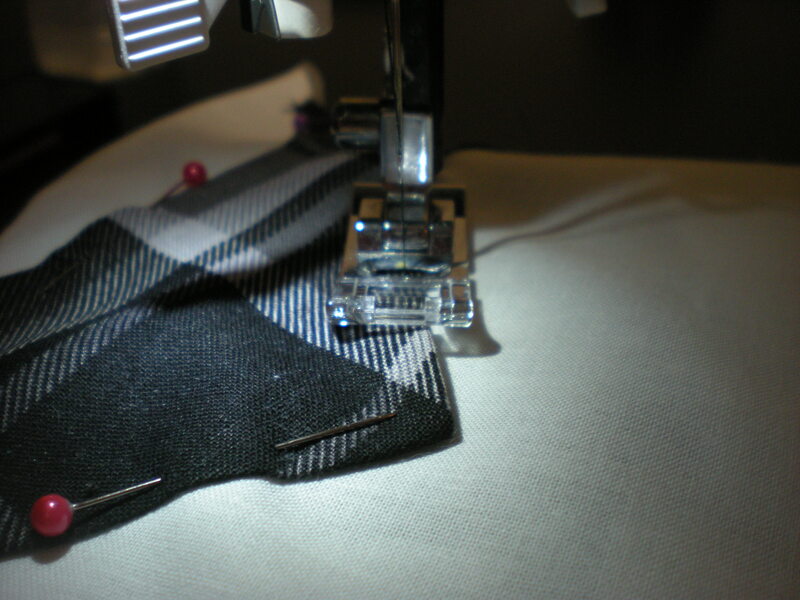 Sew around the perimeter using whatever seam allowance you gave yourself. Make sure to leave an open area so you can flip it inside out. Flip ‘er right-side out. 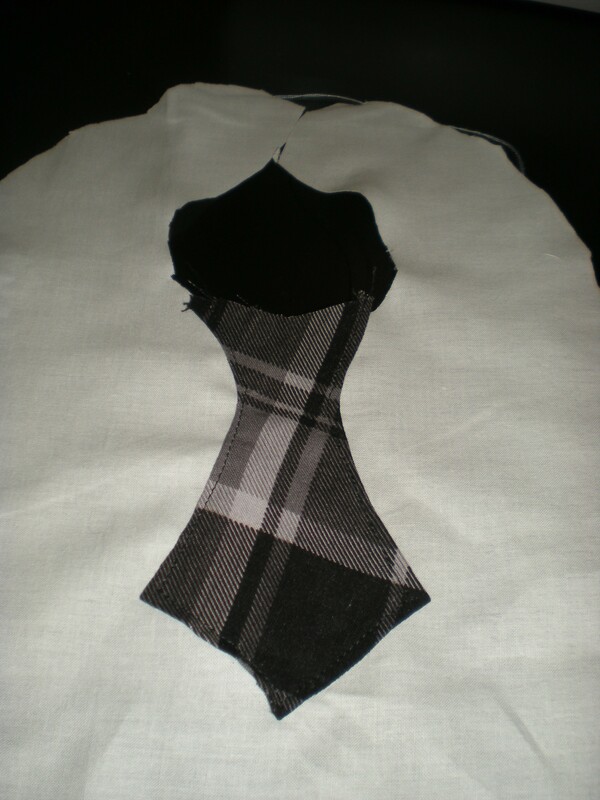 I added a “decorative” top-stitch around the perimeter.. not sure if I will do this next time. 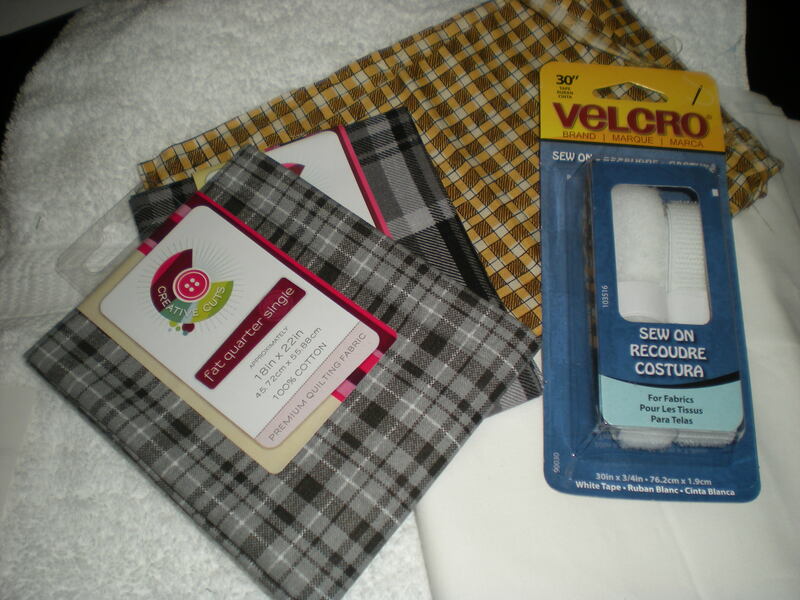 Now sew down the velcro and “ta-da” you’re in business! 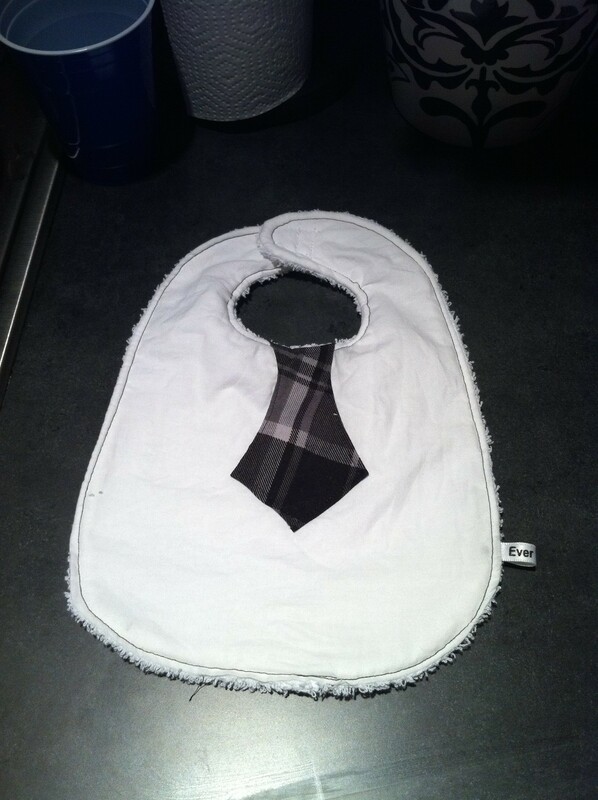 If you’re interested in purchasing one of these darling bibs head over to my Etsy shop and check them out! 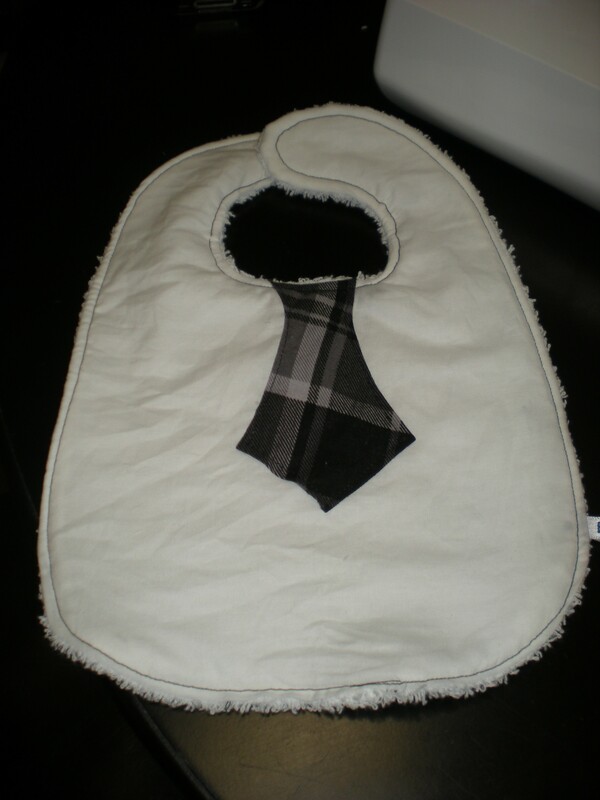 Posted on August 22, 2011, in For the Boys, Tutorial and tagged Baby, Sewing, Tutorial. Bookmark the permalink. Leave a comment.